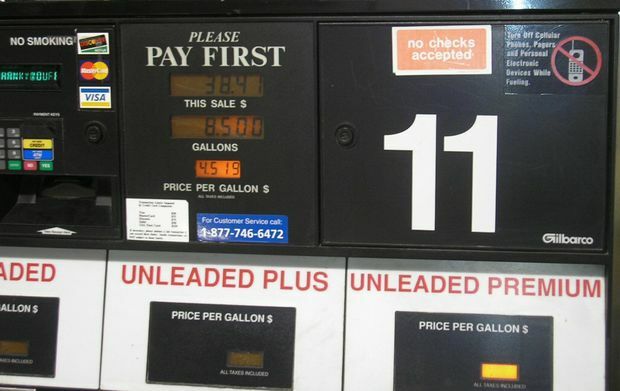 (Coppell, TX) – The statewide gas price average in Texas is $1.93 for a gallon of regular unleaded fuel, according to the AAA Texas Weekend Gas Watch. That price is two cents more than last week and ten cents more per gallon than last year. Of the major metropolitan areas surveyed in the Lone Star State, drivers in Dallas are paying the most on average at $1.95 per gallon while drivers in San Antonio are paying the least at $1.85 per gallon. The national average price for a gallon of regular unleaded is $2.15 which is two cents more than last week and eleven cents more per gallon than last year. This week OPEC reached an oil production agreement, and beginning January 1, 2017 announced it will cut production by 1.2 million barrels per day or 1 percent of total global oil production. As a result of the announcement, markets reacted quickly and crude oil prices increased by $4.21 to settle at $49.44. The impact on retail prices will most likely be seen by the end of the week, and any lingering impact on prices will depend on whether OPEC implements the cuts in 2017. This agreement is slated to last six months with the possibility of an extension in May 2017. Despite some recent refinery issues states in the South and Southeast are still among the top-10 cheapest gasoline averages in the nation including: Texas, Mississippi, South Carolina, Alabama, Tennessee and Louisiana. “Texas drivers are paying about $27 to fill up a 14-gallon tank which is the size of an average family vehicle. Texans are paying about $3 dollars less than the national average per fill up,” said AAA Texas/New Mexico Representative Doug Shupe.